Home>Uncategorised>Skip Bin Hire Adelaide Services- How to Intelligently Pick One! The beautiful city of Adelaide is ever growing and so does its need for reliable and affordable waste management systems. Apart from the routine collection of garbage, Adelaide residents sometimes need to hire a skip Adelaide company for major rubbish removal activities such as in the case of domestic renovations, home additions, and the likes. Getting a cheap but reliable waste bin hire service for prompt and efficient waste removal requires due consideration. Why should you hire a skip in Adelaide? Simply put, hiring a reliable rubbish bins hire service company in Adelaide provides value to your hard-earned money. You can throw away all unwanted items that you have accumulated in your home for many years in one go. Skip bins come in a wide array of sizes. Whether you are in need of small waste bins for hire or skip bins large enough to store old appliances, furniture, and rubble, hiring a skip bin is the perfect waste management solution for you. Check the experience and reputation of a company. 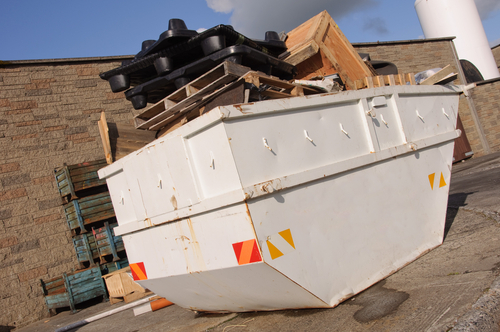 These qualities go hand in hand and should be your primary considerations when shopping for skip bin hire services. There are slight differences in skip bin hire prices across skip bin hire companies. You should enquire on the rates for the skip bin sizes you need for your waste management activity. A reputable company will not compromise the quality of their service regardless of low price rates. You can find a balance between quality and affordability simply by going the extra mile to call companies in your area. Promptness in dropping off and picking up waste bins is an important consideration for customers. If a skip bin hire company responds promptly to an inquiry, it’s quite likely that they have excellent customer service. A trustworthy company will be able to provide you with a reasonable rate for both long-term and short-term waste bin hire. If you wish to learn more about skip bin hire in Adelaide, do not hesitate to give us a call on 08 8325 3033 today.